Profile of Harlem River Tunnel and approaches; section of Harlem River Tunnel during construction. Assembling iron work on Pontoon - Harlem River Tunnel. Showing concrete over iron work - Harlem River Tunnel. Operating room of power house. 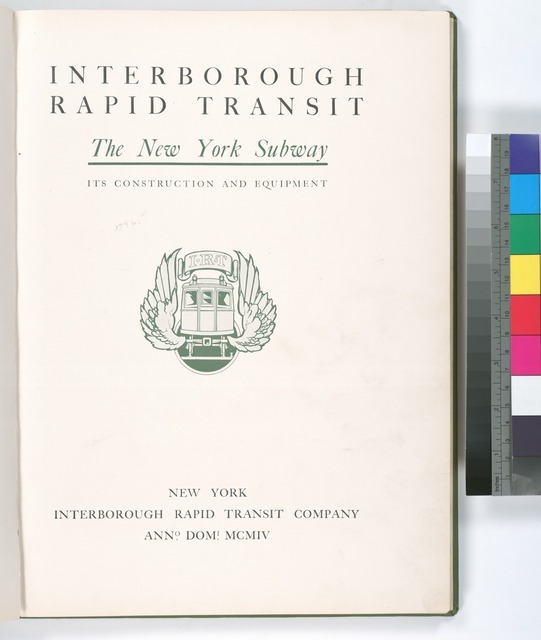 Map showing the lines of the Interborough Rapid Transit Co.
34th Street and Park Avenue, looking south. Standard steel construction in tunnel - third rail protection not shown. Plan of Brooklyn Bridge Station and City Hall loop. Plan 28th Street & 4th Avenue Station.